I was having too much fun in Toronto to take more pictures. I've always loved how each neighbourhood gets it's own name and sign. Rather than segregating, it creates a real sense of community. 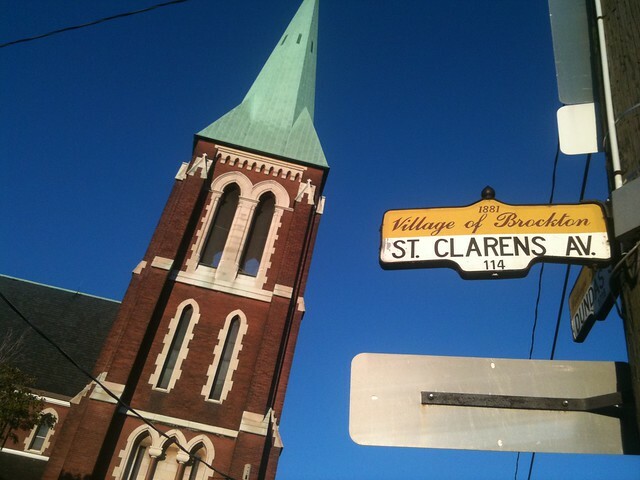 There are signs for Little Italy, Chinatown, and even rainbows for the "gay district" around Church Street. 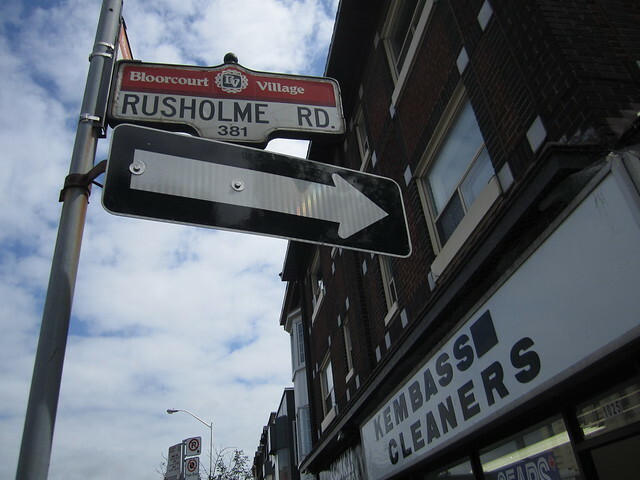 For me, the street street signs represent that great Canadian phenomenon of "ethnicity" vs. "visual minority status". The latter is something other people choose for you, where as the former is a label you choose for yourself. In the case of the "Africanisches Viertel" (african area) in Berlin, the street names later determined the cultural flavour. In the 1800s, names like "Togostrasse" or "Senegalstrasse" were given to streets to "honour" Germany's colonial past. There was even the idea to create an African themed park/zoo in the area, complete with animals (and people) that you would see on the continent. It never happened. One hundred years later, immigrants from places like Ghana and Camereon heard the street names and wanted to live there. They invited their families to join them, and now the neighbourhood in Berlin's Wedding district is the only place I can find Afro Shops and grocery stores selling plantain.